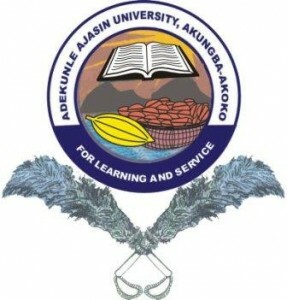 AAUA Acceptance Fee: This is to inform all the UTME and Direct Entry candidates offered provisional admission into the Adekunle Ajasin University, Akungba-Akoko (AAUA) various undergraduate programmes that the management of the institution has announced the amount payable as acceptance fee and the payment procedure. AAUA admission acceptance fee is N50,000 for all courses of study. All the candidates offered provisional admission into AAUA are required to pay N50,000 (fifty thousand naira only) as admission acceptance fee. Pls my sister wants to go for mass communication but she has pass on her lit In English. Is that still possible for her. Thank you. According to the school, 7th December, 2018. Can I pay this fee on Monday morning ? Please jamb has given me admission bt on the school portal av not bin given admission wah do i do?? For now, you have to keep checking. If you are already in the school, you can direct a complaint to the ICT department, so that you can pay the fee and accept the admission as soon as possible. All the best! Have you accepted the admission on JAMB CAPS?